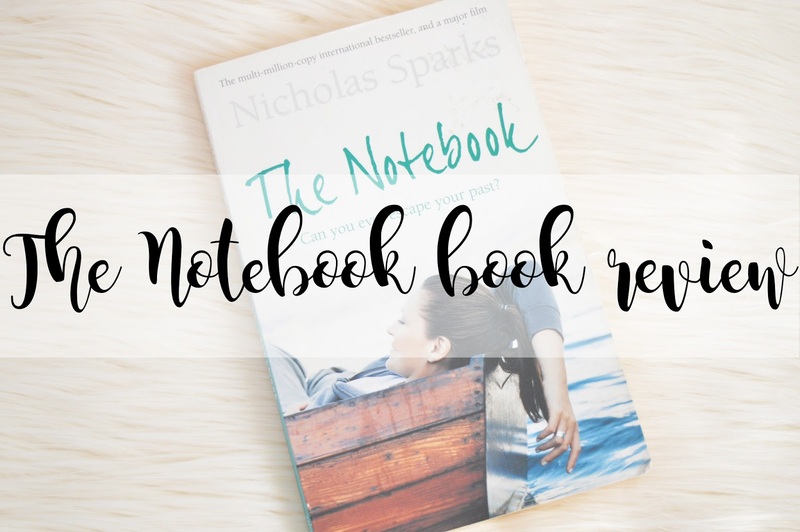 After reading Sweet Temptation and really not enjoying it, I wanted to find a book which I knew I would absolutely love and so I picked up "The Notebook" by Nicholas Sparks. If you're a regular reader of my blog and you have seen my book hauls, you'll know I absolutely love Nicholas Sparks and the way he writes. There's something about his writing which is absolutely magical and while reading his books, I always feel like I am part of the story! Which is one aspect I absolutely adore about reading; being and feeling a character in the book. I have watched the film based on this book and I absolutely love it, to be honest to begin with I really could not remember the film until I was at least half way through the book and then I started to remember exactly how it is shown in the film! My personal opinion; this book is basically the film, it's written the same way in which the film is which is something else I love about Nicholas Sparks and his books! If they're re-created into films, they always try to make them based on the books which a lot of films/books do not do! I love how Noah and Allie made their way back together! When it came to her deciding who she was going to choose, I really thought she was going to say goodbye to Noah forever and it was slowly breaking my heart. However, it was such a twist when it turns out she went back to him! They have to end a book with a happy ever after, don't they? I would recommend this book to anyone, any day! It is such a good read, especially if you want a quick read too with less than 200 pages! For once, I have read a book which didn't make me cry (however, I did read it on a coach with lots of children on the way to their swimming class), so if I did cry, this would have been rather embarrassing! I would 100% re-read this as I thoroughly enjoyed it. It's definitely not going to be like "Sweet Temptation" which is going back to the charity shop! Overall score out of five? Can I give a score of 500? If you haven't read this, but you have seen the film, I highly recommend it! If you haven't seen the film nor read the book, read the book first! You will not be disappointed! What's the last book you read? Let me know!